Sid Meier’s Civilization VI will receive its first major expansion titled Rise and Fall on February 8, 2018, for Windows PC. Civilization VI: Rise and Fall will bring with it new choices and strategies for players as they guide a civilization through the ages. The expansion introduces new Great Ages, a new city loyalty system and Governors that expand existing diplomacy and government systems. Players will also have access to new leaders and eight new buildings. Players can look forward to leading their empire into a Golden Age of prosperity or conquer adversity and emerge from a Dark Age and transition into a Heroic Age. Golden Age will be even stronger – a Heroic Age. your cities, and reinforce Loyalty. to form different types of alliances and build bonuses over time. earn rewards, or penalties, when the Emergency ends. Moments that you encountered on your path to victory. improvements, and two unique districts. fourteen new buildings, and three new resources have been added. 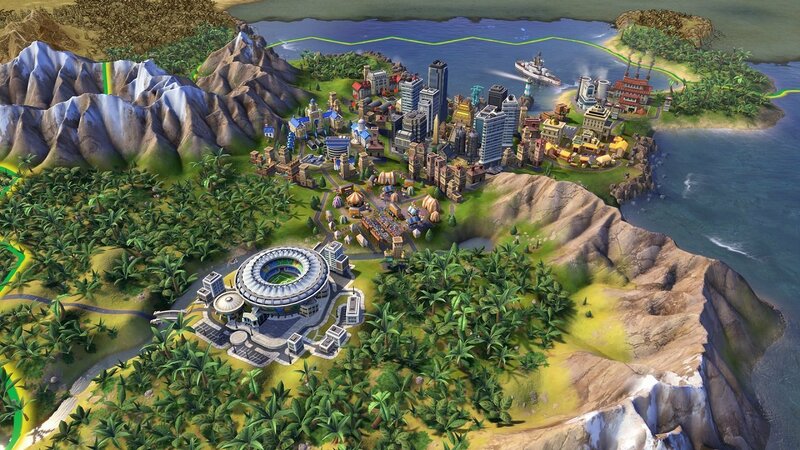 Sid Meier’s Civilization VI first released back in late 2016 for Windows PC and Linux, the title was met with critical success and currently sits with an impressive 88% on Metacritic. Liked this article and want to read more like it? Check out Mike Cosimano’s review of Sid Meier’s Civilization VI and his interview with Suda51!